Baracuta G9, On average it rains almost every other day in Manchester. It is no surprise then, that a city synonymous with downpours became the raincoat manufacture capital of the world. It was through this rainwear that Baracuta was born, towards the end of the 19th century. 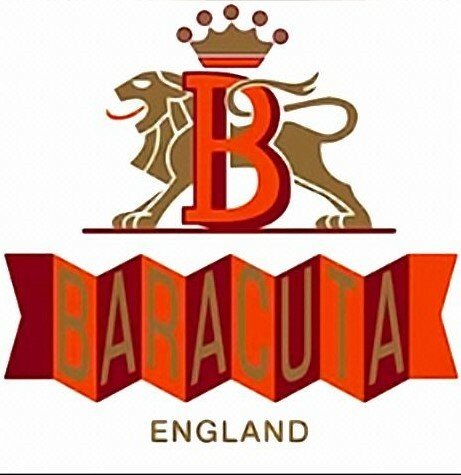 Initially making outerwear for Burberry and Aquascutum, Baracuta eventually branched out with their own brand. Back then, Manchester was an industrious place, known for its textile production. The advent of the Manchester Ship Canal in 1894 led to a boom in industry and Baracuta flourished. In 1937 John and Isaac Miller began making the original G9 Baracuta at their Chorlton Street factory in Manchester. While they had made their name with rainwear, the G9 came to define the brand. It was the original incarnation of the Harrington jacket and it has continued to be made in Manchester, England. There’s a real provenance that runs through the jacket as a result. It’s a genuine example of that hard work ethic, combined to the innovation, which sparked the industrial revolution. The mindset of the city evolved into one of aspiration and upward mobility. The G9 came to embody that very spirit due to its link to Golf; a pastime that was exclusively the preserve of the wealthy at that time. The Miller brothers themselves aspired to be accomplished golfers, which perhaps influenced the design of the G9. Even when the brand became based in New York City in the 1950’s, it was the image of a damp Manchester they used to sell their rain wear. The history of the city has taken many twists and turns since that original G9 left the Baracuta factory. From music to football, Manchester has its flag firmly pinned to the cultural map. It is humble in its origins yet quietly and confidently able to take on all comers, much like the G9. The Baracuta G9 is woven into the very fabric of British youth culture. Famously favoured by the likes of Steve McQueen, the G9 is perhaps better known as the Harrington Jacket. It has been held in high regard by almost every British youth movement of the last 50 years which is testament to its simple versatility. Dating back to an industrialised pre-war Manchester, the Baracuta brand is steeped in history. From Hollywood to the Haçienda, the G9 has transcended social and cultural boundaries without compromise. In the true spirit of its history, the Baracuta G9 is back for Spring/Summer ‘13, ready for another generation of aesthetes to take it to their hearts.